Alaska photographer captures 'super blue blood moon' against Northern Lights - When Is The Next Eclipse? Could a blood red moon be photographed against the backdrop of the Northern Lights? 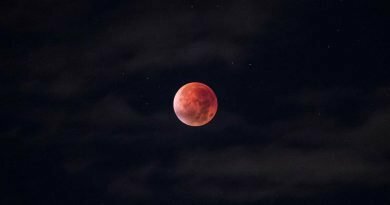 That was the question on the lips of every eclipse chaser and eclipse photographer in the days leading up to the total lunar eclipse ‘super blue blood moon’ eclipse‘ on 31 January, 2018. 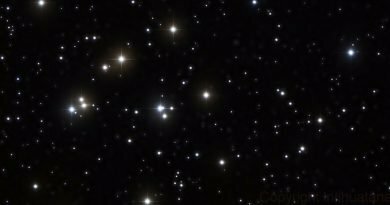 After all, the eclipse was visible right across Alaska, one of the prime Northern Lights viewing zones in the northern hemisphere. It was also in the middle of Northern Lights viewing season. Could it be done? Absolutely. Local photographer William Briscoe braved -35°C to shoot this exquisite 8K 360° time-lapse video near Fairbanks, Alaska. Look top-left for the blood moon while the aurora borealis rages in an arc across the sky underneath, and note how the sky changes colour as the eclipse ends and the aurora fade to nothing. The stirring music doesn’t hurt, either. 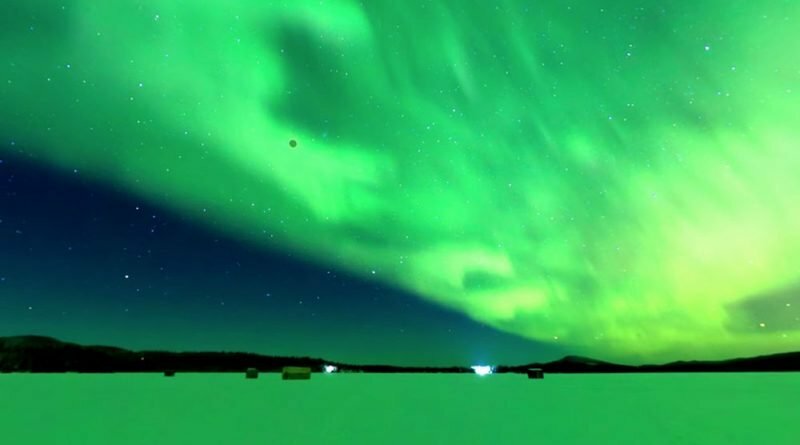 It’s impossible to expose for both a bright Full Moon and the Northern Lights against a landscape, so Briscoe assembled a rig of multiple DSLRs to look after the 360° time-lapse. He then used a separate DSLR and a telephoto lens to capture the eclipse itself, and combined the two later. 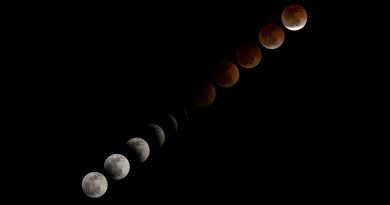 Find out here when and where you can see lunar eclipses between 2018 and 2030.